The narrator explains that he had lived in a strange castle for as long as he can remember and lived by himself. The castle is surrounded by a dark forest that never seems to end and sunlight never penetrates the forest to shine upon the castle. He wonders about the types of people that lived here previously and finds himself lonely. He regularly thinks about the one dark tower that raises up high enough that he cannot see the top of it. One day, he decides to climb it and slowly makes his way up inside the toward. He eventually finds there are no stairs but he must scale the walls inside in order to move up. He eventually finds a ceiling with a trap-door to climb though. After briefly resting from utter exhaustion, he explores the room where appears to be some kind of storage room. He eventually finds his way outside where he is showered in moonlight. As he explores outside, he realizes that he is on solid ground--not high in the sky, but on regular earth. Baffled and confused, he continues to explore the surrounding area and eventually wanders to find a place where people live. He decides to get closer to hear and observe them. He decides to enter and when he does, all chaos breaks loose. Screaming and yelling break out and the narrator is confused by the cacophony until he thinks he sees something that they are scared of. He slowly approaches what he describes to be a distorted and horrific monster and in a moment of recognition flees and returns to his underground castle, never to return for the monster he saw was his own reflection. 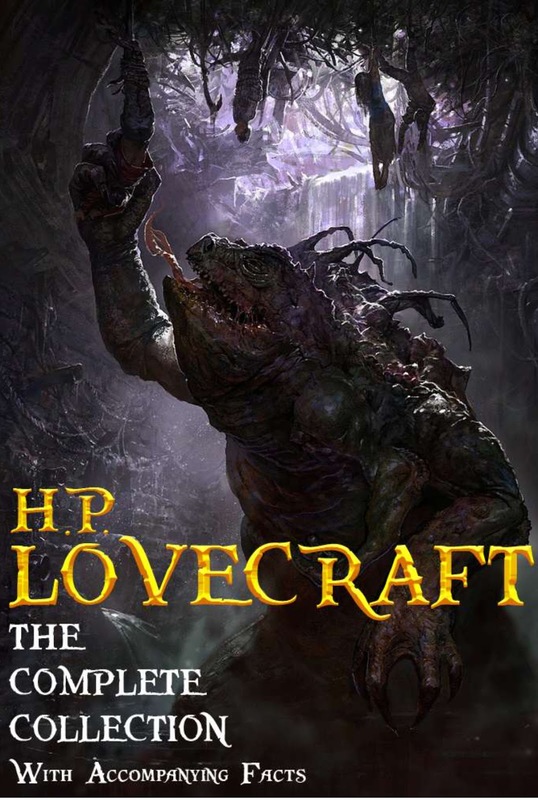 I may have read this story before, but it is still a fantastic tale and one of Lovecraft's best. There's a bit of Frankenstein in it. The description and misdirects were well executed in this tale and that we walk through the story in the mind of the monster is also a great twist--though there are hints all along that this is the case. The most fascinating part of the story is the description of his underground world and how he spends his days.